This is what I think when I see, or hear “diabetic complications“. One of the reasons why I stress the importance of having good blood glucose levels and HbA1c control, is to avoid complications caused by diabetes. These complications can affect the eyes, the nerves, the kidneys, muscles and the heart. This is something which worries me a great deal. However my worries, drive me to want to have better, tighter control of my blood glucose levels. 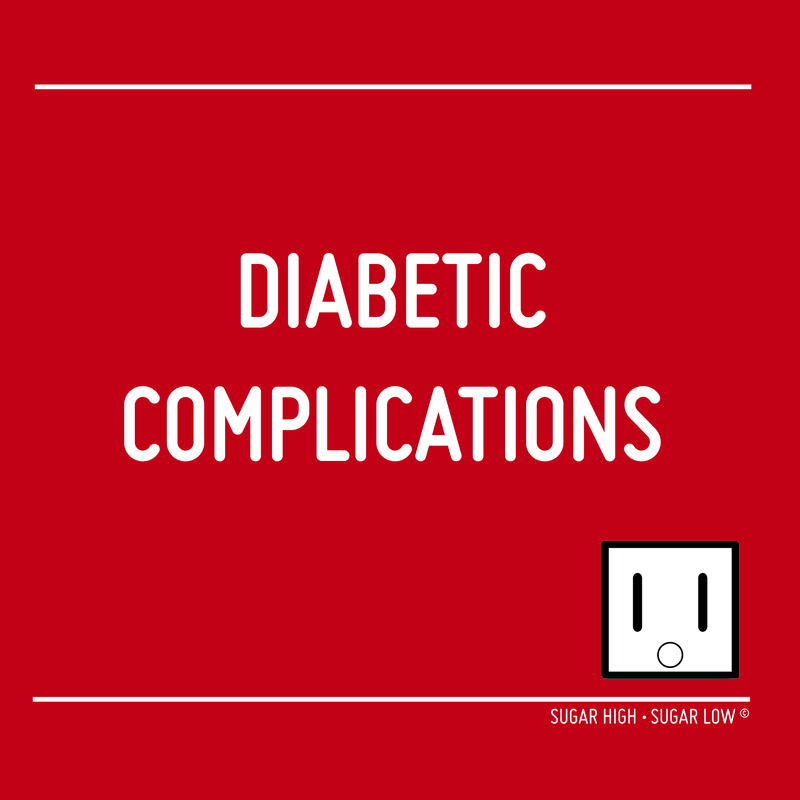 Complications are less likely to develop and are not as severe with diabetics who have good blood glucose level control. If I can put in the effort to have the best control that I can, these complications are less likely to arise. Retinopathy – This is one of the complications which totally freaks me out.This complication causes damage to the retina. All diabetics are at risk of developing retinopathy, whether they control their diabetes by diet, tablet or insulin. There is a much greater risk, if your diabetes isn’t controlled well, if you have high blood pressure and if you’ve had your diabetes for a prolonged period of time. Poor control and high blood glucose levels will cause retinopathy to occur. Over a period of time these high blood glucose levels, will affect the small blood vessels in the retina, causing them to become inflamed and damaged without the patient’s knowledge. Blood vessels burst causing haemorrhage and swelling. Blood leaks to the back of the eye (in the picture above, this is represented as spots near the vessels) and oxygen is unable to enter the retina. This results in the growth of abnormal blood vessels on the surface of the retina. Without treatment, retinopathy continues to progress, eventually leading to blindness. Having good blood glucose control and ultimately a good HbA1c, will help to reduce the risks caused by retinopathy. In this initial stage, many people do not notice any changes in their vision. These early changes are reversible and do not affect vision. Diabetics must have regular eye checks to prevent these early stages progressing to a more serious stage of retinopathy. If this early stage occurs, it can be detected and monitored closely. Glucose build up in the eye and damages the small blood vessels in the retina. Diabetics can develop a condition called macular edema. Damaged blood vessels leak fluid onto an area of the eye called the ‘macula’. This part of the eye allows you to see fine detail. With maculopathy the macula becomes swollen and can causes vision to be become blurred. As retinopathy develops, the retina becomes deprived of a good blood supply, due to damaged blood vessels. This causes blood vessels to proliferate (or grow). Due to a lack of oxygen in the retina and as the eye tries to repair itself. This causes new brittle blood vessels to grow in the retina. These new blood vessels can bleed and grow rapidly. If this isn’t treated quickly it can cause vision to be clouded, resulting in a damaged retina. In severe cases this can cause retinal detachment, and glaucoma.